Laundry Room In Progress - Oak House Design Co. Taking advantage of our warmish weather, I've turned our garage into a temporary spray booth. 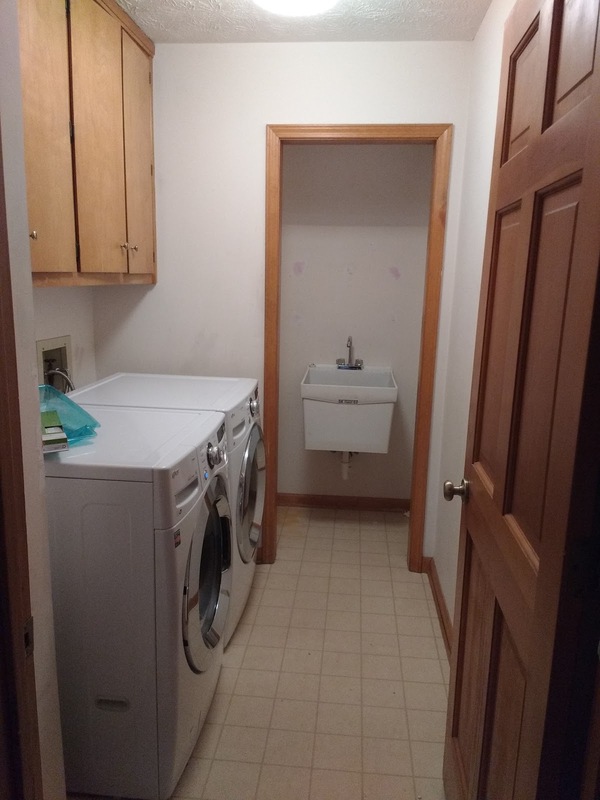 One of the paint projects that I started was the laundry room. 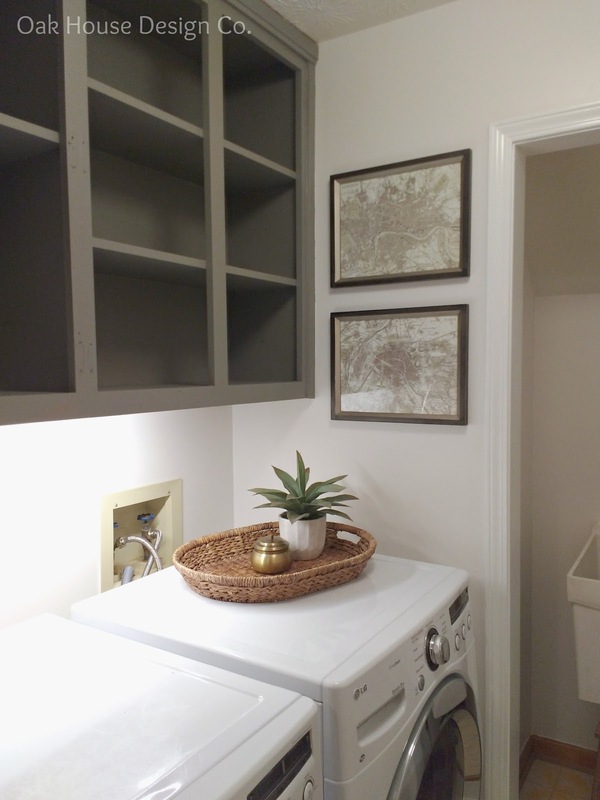 I wanted to freshen up the walls and update the cabinetry. I thought I would pop in and share the progress made so far. After finding a few inspiration laundry rooms, I created a design board a few months ago, but started to waiver on the gray cabinets. But I am also in the process of painting the upstairs bath cabinets, and I ended up going with BM Chelsea Gray. So I decided to go ahead and give the gray a try in here too, rather than buy a different can of paint. Now lest the above picture fool you, the walls in here had seen nearly 30 years of service and were pretty beat up. I'm not done yet, but hope to have the cabinets and trim finished by this weekend. But already what an update from the starting point!